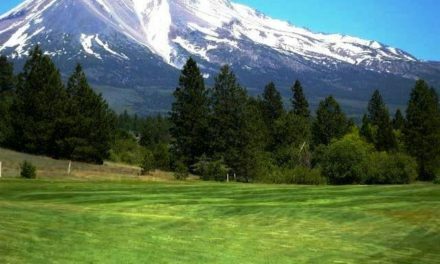 Diamond Mountain Golf Club sits between Reno, Lassen Park and Lake Almanor, just off highway 395. Perched where high desert meets pine forest under the mountain for which it was named. Formerly known as Emerson Lake Golf Course, this course was recently renamed, redesigned and expanded to a full 18-holes. I played this course for the first time in early May of this year. The small journey from Quincy at 8:00 o’clock in the morning was spectacular. Driving around Lake Almanor and noting the 18″ of snow I was admittedly nervous about my decision to play so early in the year. Upon arrival my mind was put at ease when I saw the condition of the course. I was pleasantly greeted at the pro shop by General Manager, Dan Kowall. Dan gave me some quick tips about the layout and wished my cousin and I good luck. The front “Emerson Nine” was built in 1967 on property donated by the Emerson family. The first holes are relatively open with slight changes in elevation, dog legs, and water hazards. With the wind blowing a bit, the opening 12 holes definitely have a links-style feel to it The tight layout has a defined cut of rough bordering its fairways, so shot accuracy is at a premium. Sand bunkers are also included in the design of every hole. Holes 3, 4, and 5 are beautifully placed around Emerson Lake so bring extra balls if you’re not good with a driver. The course personnel take pride in the course’s large, sloped greens, which are fast but soft in texture, so they should hold your shots. The back “Woodland Nine” was added along with a clubhouse in 2003, creating a challenging 6,417-yard layout. 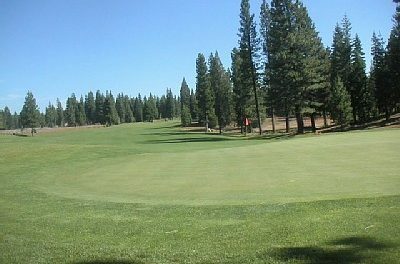 Holes 13 thru 18 are nestled at the base of Diamond Mountain and are lined with majestic tall pines. I’m a country boy so I really enjoyed the last six holes. There is something special about golfing amongst the tall timbers. Just off the 18th hole is the Clubhouse. 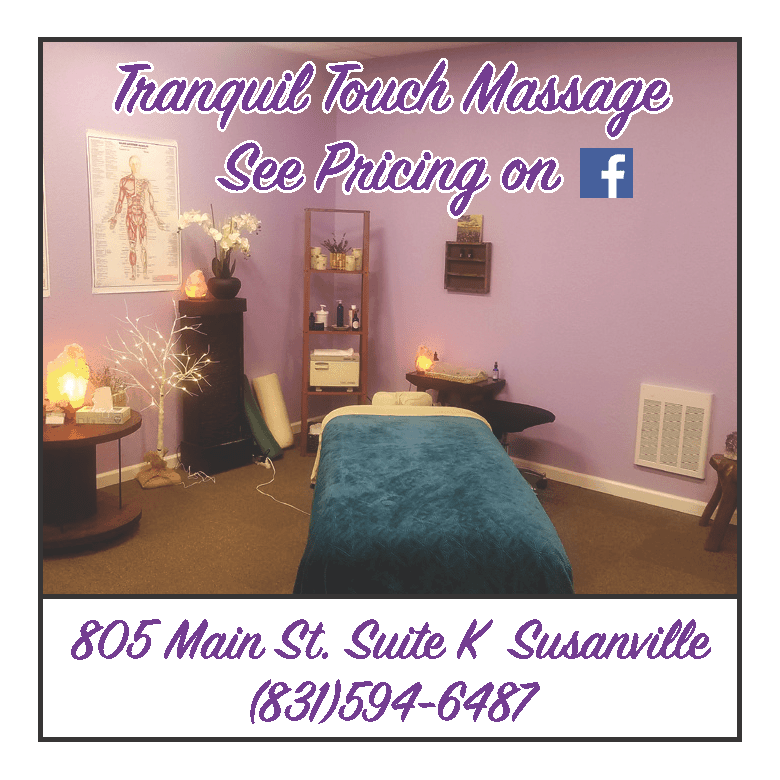 This newer Clubhouse features a fully-stocked golf shop, restaurant and lounge, and a patio with views. Head Teaching Pro, Tim Mooney is also available for lessons. The practice facility sports 20 stations, target greens, a chipping green and an extensive putting green. 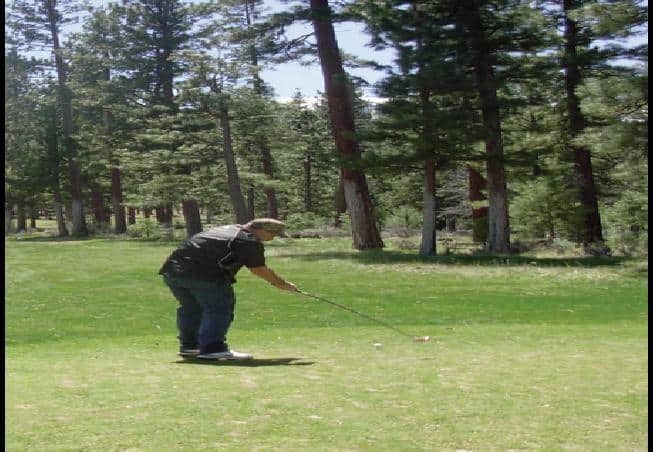 If your looking for a diverse course which surely offers an enjoyable challenge then book a tee time at Diamond Mountain. You’ll also be surprised how affordable it is to play this course, which will bring you back for more than one round! You’ll enjoy this part of California which is often underexposed but richly rewarding.